Responsive web design went mainstream back in 2012, when increasingly more websites finally realized a practical menu and properly implemented social media tools work better than fancy graphics brought to extremes. Responsive web design is a loom that highlights the way development and design should respond to user behavior based on orientation, screen size, and platform. It’s more like a blend of flexible layout and grids, images and a smart use of CSS. If the user moves from a laptop to an iPad and then to a smartphone, the website should be able to accommodate image size, resolution, and script abilities. Simply put, it must have the technology to respond automatically to the preferences of the user. In the gaming industry, website designs must be sleek, easy to manage, and simple to browse through. In order to facilitate easy navigation from PC to mobile, gaming sites should automatically detect mobile devices, as well as additionally smart devices such as tablets. Flexible layouts and images make Joystiq an excellent example of responsible design. The web page is simple to browse through and it features a practical top menu from where visitors can access the pages whether they’re operating from a laptop or 9.7 - inch iPad. Recently redesigned and quite famous among other video game review sites, GameSpot has really managed to set itself apart from the competition. The newly remodeled page permits users to take part in a more adaptable experience. The site is smartly structured in order to allow visitors to click on what they want to see first. Whether you’re looking to watch their latest videos, or check out latest reviews on PlayStation 4 and Xbox One, GameSpot will certainly exceed your expectations with its sleek interface. Smashpad recently understood the importance of a responsive design, so they decided to adapt their website automatically to the size of most devices out there such as desktop PCs, tablets, and smartphones. They ultimately comprehended that to attract new users they had to implement this new feature. Bovada is without a doubt the greatest game sites in the betting and gaming industry. The website features a versatile responsive design with plenty of flexible images, fluid grids, and receptive user inputs. Bovada offers an alert layout that permits users to place bets on some of the web’s finest poker sites. Furthermore, they have a wide variety of mobile apps that are compatible with most OS systems, as well as with their responsive and flexible designs. 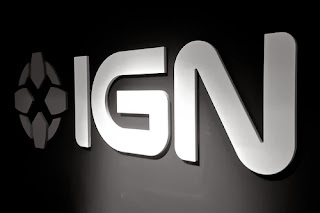 An excellent example of an adaptive and responsive design is IGN. The website permits visitors to read reviews, conveniently look for latest game releases, and talk about games and gadgets on the forum. Thanks to the flexible images and layout, users can access the website from mobiles phones and tablets as well. Hence, the browsing experience is smooth and extremely practical. They also have an official app you can download in order to stay constantly updated with their latest news. Every gaming website should implement the responsive design feature in their layout. It will allow companies to save money, and they won’t have to shell out exorbitant amounts on compound web designs for various devices. Furthermore, flexible layouts allow a sole browsing experience for each user, separately from the gadget currently in use, and that’s something extremely practical. Over the past few years, the world of advanced technology has changed dramatically. Nonetheless, responsive design is not going anywhere. The increasing popularity of using smart devices puts an emphasis on the importance of receptive web design, so it can’t be ignored especially since it comes with so many added benefits for a website. Jason Phillips wrote this article. He is been writing about latest video games and gadgets from past 6 years. He is also a permanent writer at the online gaming site Army Games 365 where you will find a vast range of army games for online play.